Les Angles is a small village of just over 500 inhabitants, nestled on the heights of the Capcir plateau. Despite its small size, there is plenty of history in Les Angles. Anyone looking for a resort property will enjoy the culture and the wide selection of amenities that will keep anyone entertained. The name of the village comes from the Catalan language and refers to the sharp corner on the Els Angles, the Saint Michel Cuxa monastery that suffered badly during the black plague epidemic. Legend has it that there were only two survivors - two sisters - and they donated all the land so the village could be repopulated. The village is now most famous for its excellent family resort which opened in 1964. The resort was created to help restart the local economy. Now it is considered one of the best and most successful resorts in the local area. 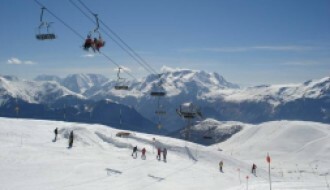 It is perhaps one of the best resorts to visit in France if you’re an avid snow sports fan. It combines the traditions of the local area with the modern demands from tourists to create an experience that everybody loves. The actual village enjoys some of the best views in the Pyrenees with panoramic views of the whole area. 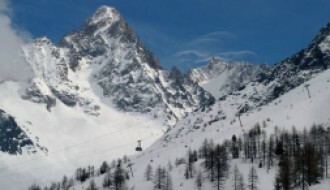 The skiing in the area is also some of the best in the country and you’ll be disappointed to miss out on the opportunities the resort has for both beginner and expert skiers. 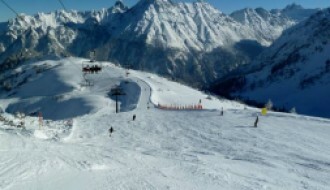 And for those who like to enjoy sports and culture, Les Angles won’t disappoint. The local customs are still very much alive, and the richness of the Catalan culture can be seen in local events and architectural aspects of the mountain village. The weather in Les Angles is rather moderate. July is the hottest month when temperatures can reach 25 degrees Celsius. January is the coldest month when temperatures are between freezing and 5 degrees Celsius. For updated snow and weather reports, take a look at our resort guide here. Living in Les Angles can be a little bit of a culture shock if you’re used to living in a large city with a bustling populate. The population of this mountain village is very small and so if you decide to live in the area for long periods, people are going to know you. However, because of the success of the local resort and the many amenities, you can still get the sense of a larger community within the small village. For when you want to unwind and not enjoy the 55 km of downhill or 36 km of cross country skiing, you can have a drink in one of the many bars and restaurants in the resort. One of the best for those in the area is La Grange. Or if you want a day to be pampered, there are the lovely wellbeing centres. Here you can be pampered by one of the beauticians or get a massage to help you feel refreshed and awake for a trip down the slopes. Or perhaps you would like to enjoy some other activities when the snow melts. You can take in the scenery and see some of the rich and unique geology of the local mountains. You can also see some of the most amazing animals in the animal park that is located not too far away from the main resort. Alternatively, if you feel like a day at the beach, there is one that isn’t often visited by tourists not far away. However, if you’re in the mood for a faster paced activity, check out the new bike park which opened in 2018. There are tracks available for all skill levels. If you want to go swimming the resort also has a pool, but you must remember that France doesn’t allow for swimming shorts, they must be tight fitting. The appropriate attire is available locally. There is a lot of potential in Les Angles for investors. The area itself is undergoing constant improvements and upgrades, and the resort offers not just winter sports but also summer activities for those looking to stay for longer. In 2018, the new bike park was opened that will extend the tourist season for not just the winter for the slopes but also the summer. The area also boasts excellent potential for hiking tourism and those looking to see some of nature’s most beautiful sights. The local wildlife park is highly rated and a must see for anyone looking to holiday in the area. 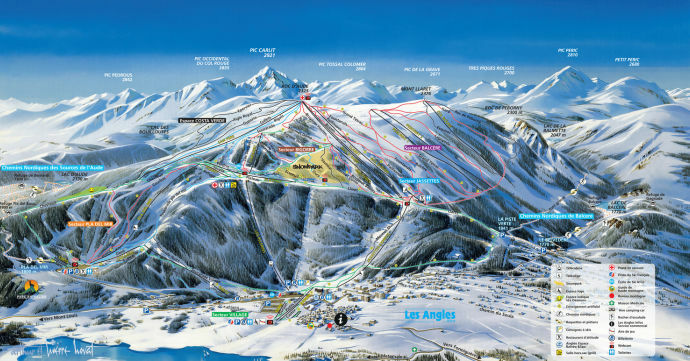 Les Angles is also a thriving community that is dedicated to delivering excellent experiences to guests. Their economy relies on the influx of tourists and as such they look to make the area rich for all tastes. Therefore, it can be expected that there will be future developments in the small village to help cater more for tourists. There isn’t a local airport in Les Angles, but that doesn't mean transport to the area is too challenging. There is a well-maintained transport infrastructure that allows tourists to get the area from Toulouse in less than two hours or Perpignan in less than 90 minutes. In Les Angles there are lots of good roads to help guests go from attraction-to-attraction and back to base.